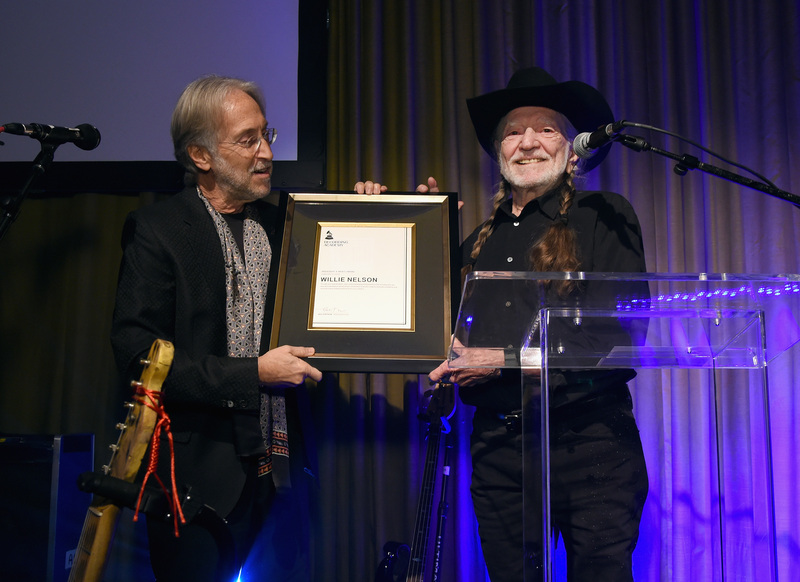 Willie Nelson was feted at the Recording Academy Producers & Engineers Wing’s annual Grammy Week celebration yesterday (Feb. 6) at The Village Studios in West Los Angeles. Now in its 12th year, the event celebrated the artistic achievements and creative genius of Nelson and also acknowledged the overall industry contributions of the Producers & Engineers Wing’s more than 6,400 professional members. 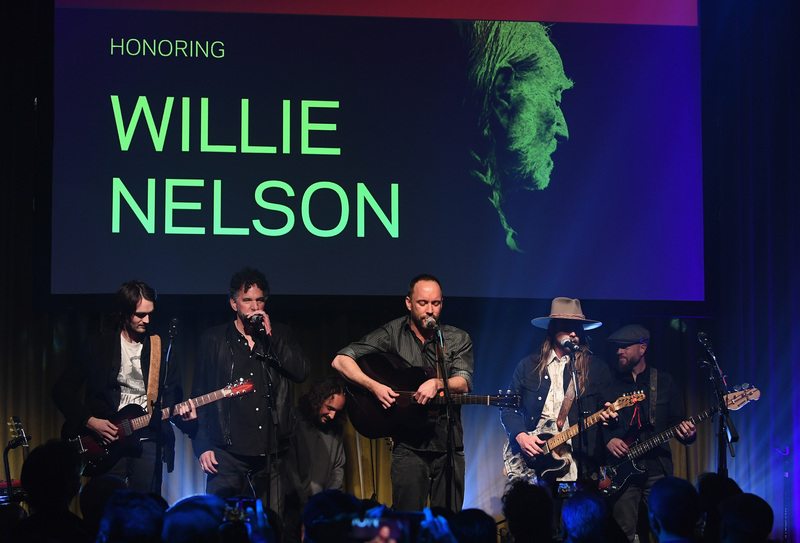 Kacey Musgraves, Dave Matthews, “Weird Al” Yankovic, Ziggy Marley, Lisa Loeb, Feist, and Diane Warren were all on hand for the celebration to help honor the beloved music icon. 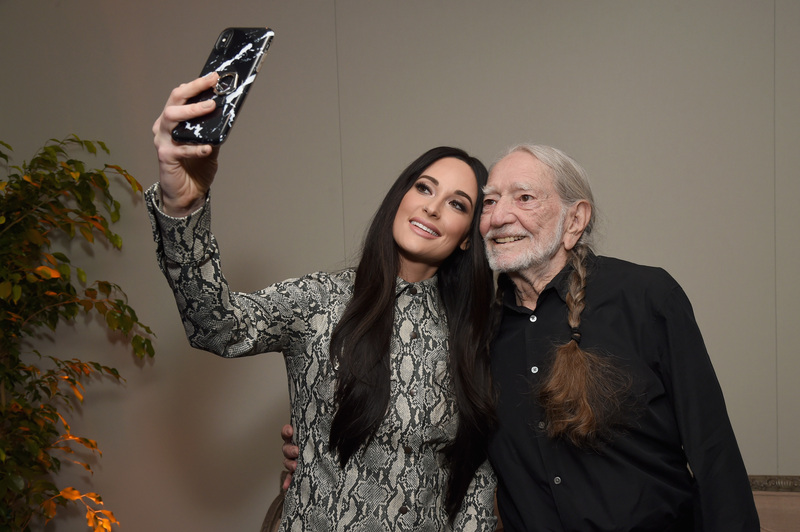 While introducing Willie Nelson, Musgraves spoke to the crowd about Nelson’s keen ability to unite people from all demographics; from women to men, rappers and Presidents. She told a quick story about when she inquisitively asked him, “Why didn’t you run for President?” and Willie responded matter of factly, “Because I’d win!” The room full of industry guests burst out in agreeable laugher. Grammy Week culminates with the 61st Annual Grammy Awards on Sunday, Feb. 10 which airs live on CBS at 7:30 p.m. ET.